New Bounce Rescue! Steam- & Xbox One-patch released. 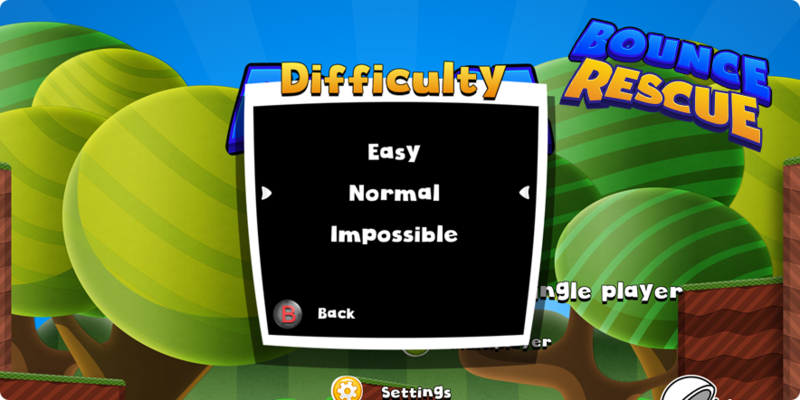 Thanks to user feedback, 3 difficulty levels have been added (easy, normal, impossible). Within a few weeks, the upgrade will also include PS4 consoles. Bitecore Ltd. © Copyright 2015-2019. All Rights Reserved.